If you’re wary of April showers because of your arthritis pain, you’re not alone. Many arthritis sufferers notice painful flare-ups when the weather is damp and rainy which is why anecdotally, people with arthritis can sometimes “predict the weather” just by the feeling of their joints. So what does the science say? 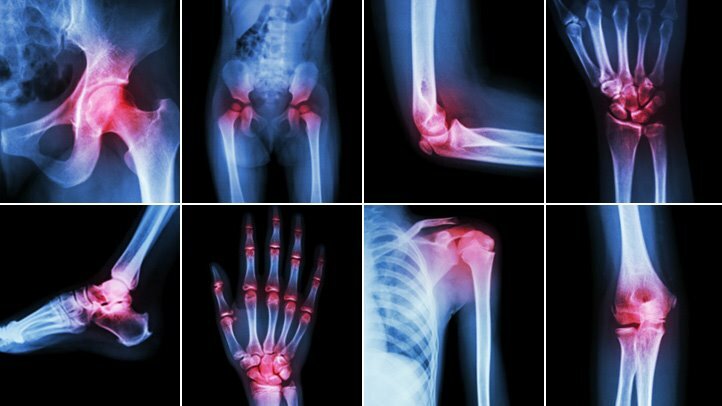 For the most part, research has found no strong scientific link between the actual change in weather events and an increase in arthritis symptoms. Interestingly, however, a 2-year cohort study published in the Journal of the International Association for the Study of Pain revealed that patient perception of pain does change depending on the weather. Dutch researchers followed 222 osteoarthritis (OA) patients over 2 years and found that barometric pressure and humidity changes did indeed influence the patient perception of OA symptoms (even if the actual contribution of weather events to severity of symptoms was clinically negligible). A 2017 study also found that weather changes, specifically drops in temperature, are more likely to influence online searches for musculoskeletal-related conditions and pain symptoms like “arthritis pain”. A drop in the atmospheric (barometric) pressure, which happens with more cloudy, rainy, or snowy weather could impact your body’s joints and soft tissues. Lower pressure may lead to more swelling in your tissues than normal which potentially places added stress on your joints, muscles, and nerves. Inclement weather makes many people, including arthritis sufferers, less likely to get outside and exercise. Lack of movement and physical activity could stiffen joints and exacerbate arthritis symptoms, even limiting your typical range of motion. While inclement weather isn’t necessarily making your arthritic condition worse in the long run, it can still lead to temporary increases in perceived pain and discomfort. Track weather forecasts closely. You don’t have to turn the Weather Channel on every time you’re in need of a quick forecast. Instead, use apps like Weather.com or DarkSky on your smartphone to get an accurate, up-to-date forecast for your location in seconds. This will help you plan accordingly if cool, damp weather is on the way. Layer up. Wearing layers helps to shield your body from the cold and damp, as does simple accessories like gloves, warm socks, scarves, and hats. Even if it seems sunny but you know it’s in the 50s outside, don’t be wary of layering up. Exercise at home. Getting outside or even to the gym to pack in your daily workout just feels harder when it’s gloomy and cold outside. Don’t let the weather interrupt your fitness schedule though! Exercise at home with free, online yoga videos, resistance bands, lightweight dumbbells, or an exercise ball. Treat pain naturally. If your joints feel too painful to exercise even, try natural pain relief methods like applying topical arthritis creams and ointments, administering some type of heat therapy, wearing compression gloves or socks, or massaging inflamed joints. Eat “warming” foods. Up your consumption of foods with naturally thermogenic properties which have been shown to aid inflammation and increase body temperature. Ginger, cayenne, and turmeric all go well in a hot lemon tea, while citrus fruits like lemons and oranges have been shown to help relax blood vessels and boost blood circulation too. Fight fatigue. Arthritis is most often characterized by joint pain, however, accompanying symptoms like fatigue can also feel more overwhelming when drab and damp weather moves in. The Arthritis Foundation shares tips for combatting fatigue including maintaining a good sleep schedule, exercising, staying hydrated, and supporting your joints by using a mobility aid or brace.